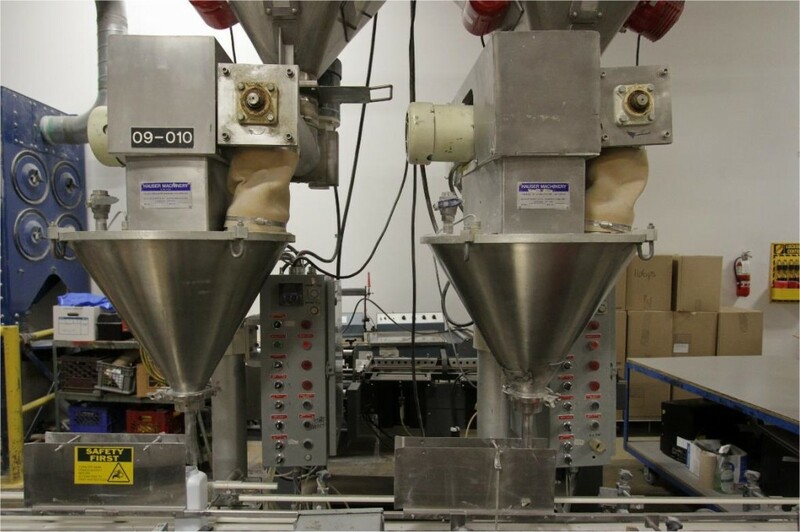 Used Hauser Machinery Twin Head Powder Auger Filler Model AF-90. 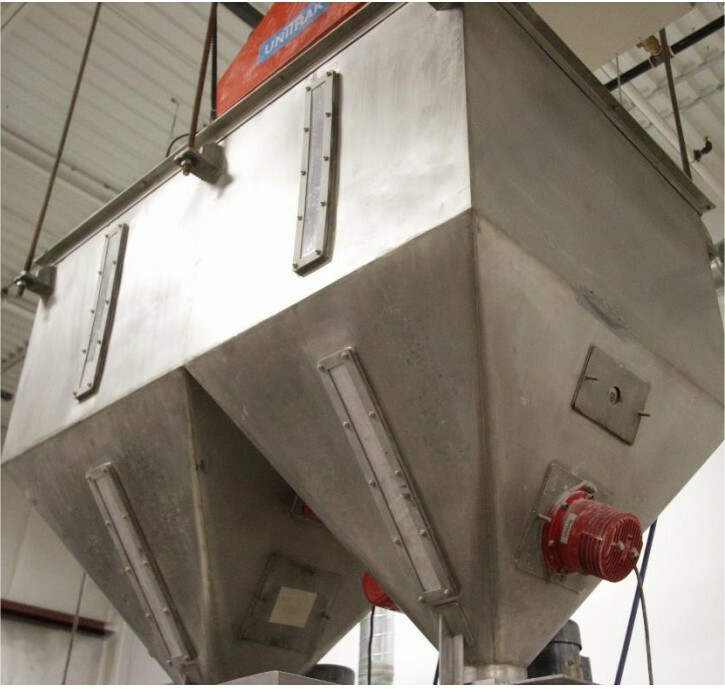 Features: Fully Integrated with Conveyor and Hoppers, can fill up to 5Lbs per head and last doing Baby Powder. Electrics: 3Ph/60Hz/220V.